GAZA (Ma’an) — Deputy head of Hamas’ politburo Ismail Haniyeh said on Friday that while the movement is not calling for a new war in the Gaza Strip, it will not tolerate incursions by Israel or accept a buffer zone. Haniyeh said during Friday prayers at the Abu Salim mosque in the central Gaza Strip district of Deir al-Balah that Israel’s recent incursions into the border areas in search of tunnels are responsible for the latest escalation of violence in the besieged coastal enclave. Israeli military incursions inside the besieged Gaza Strip and near the “buffer zone” have long been a near-daily occurrence, marked by Israeli bulldozers leveling lands inside Gaza territory while accompanied by Israeli military vehicles. Haniyeh said incursions inside Gaza territory are a grave violation of the Egypt-sponsored ceasefire reached in the summer of 2014. Haniyah highlighted that the efforts underway by Egypt, Qatar, UN envoy Nikolay Mladenov, and Turkey to curb the aggression in the Gaza Strip. “I hope that statements by the PA (Palestinian Authority) regarding limiting relations with the (Israeli) occupation are implemented on the ground, and that security coordination with occupation must be stopped,” Haniyeh added. The PA has repeatedly threatened to put an end to the security coordination with Israel over the years. However, Palestinian President Mahmoud Abbas reiterated his commitment to security coordination with Israel in an interview in March, arguing that it was a major factor in curbing Palestinian attacks against Israeli targets. Israeli airstrikes continued Friday morning for third consecutive day, in response to alleged mortar rounds being fired by Hamas and other Palestinian resistance groups on Israeli army targets. Israeli shelling east of Khan Yunis in the southern Gaza Strip reportedly killed a Palestinian woman on Wednesday. The Israeli army accused Palestinian resistance groups of launching mortar attacks in an attempt to disrupt the army’s “operational activity” in search for Hamas-built tunnels leading into Israel. One such tunnel was allegedly discovered Thursday, the second of its kind to be uncovered since Israel’s devastating 2014 offensive on the Gaza Strip. The Gaza Strip has been under a severe economic blockade imposed by Israel for decade. 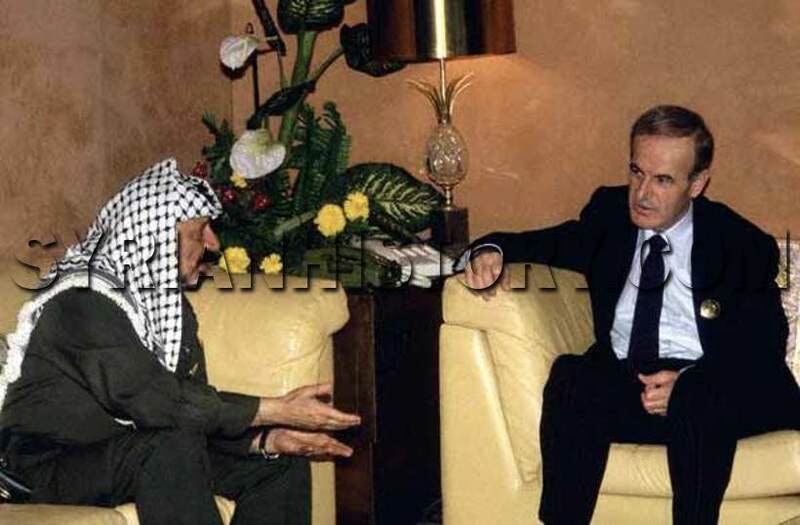 The blockade was imposed following the victory of Hamas in the 2006 Palestinian elections and the subsequent 2007 clashes between Fatah and Hamas, which left Hamas in control of the Gaze Strip and Fatah in control of the occupied West Bank. 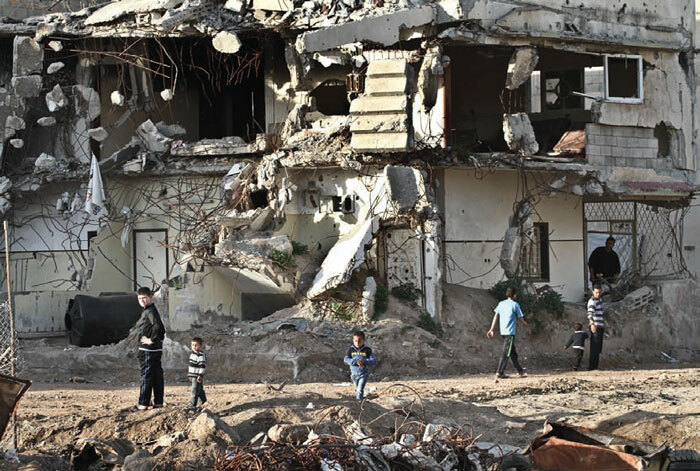 Arab Digest Summary: Gaza still shattered following the last war in 2014. Pledges of aid not honoured. Another war? A cry for help from behind the blockade. The situation in Gaza remains dire. The population is 1.8 million living in an area of 141 square miles (365 square kilometres), 25 miles long and 3.5 to 7.5 miles deep, one of the most densely populated areas in the world. According to a World Bank fact sheet (apparently dated from just after the war in 2014) unemployment is 45%; economic activity is almost entirely dependent on aid and remittances, and a dynamic private sector is impeded by restrictions imposed by Israel. War damage is put at roughly $3 billion, with severe consequences for water, sanitation, energy, housing, health, education and food. Arab donors have proved particularly bad payers: Qatar pledged $1 billion and has delivered 15%, Saudi Arabia pledged $500 million and has delivered 10%, the UAE pledged $200 million and has delivered 15%, Kuwait pledged $200 million and has delivered nothing (but Palestinian sources reported on 18 April that the Palestinian authority had received funding from Kuwait to build three hundred homes in Gaza, and 12,000 other Gazans whose homes were damaged in the war would receive cash compensation). The USA, the EU, individual European nations and Turkey have delivered all or most of their pledges. The Palestinian Authority is losing about $285 million each year due from taxes collected by Israel on their behalf under various agreements dating from the nineteen nineties, and Israel is also holding about $669 million, mostly pension contributions collected from Palestinians working in Israel and their employers. A UN report of 11 April describes the “fraught conditions” of life in Gaza and concludes that without a lifting of the blockade and progress towards Palestinian reconciliation “coping capacities of exhausted and vulnerable households risk being depleted altogether.” According to another report of 4 April Israel has suspended cement deliveries following allegations that cement had been diverted “from its intended legitimate beneficiaries”. The IDF announced on 18 April the discovery of a tunnel from Gaza into Israel, the first found since the 2014 war, 100 feet underground and several hundreds of yards long. According to Reuters Israel has, with US help, stepped up work on technologies for spotting the secret passages. Benjamin Netanyahu said Israel was investing considerable capital in countering tunnels and would respond strongly to any attempt to attack it. What the enemy has discovered is only a drop in the sea from what the resistance has prepared to defend its people, to liberate the holy places, its prisoners and land. Not all is gloom; two separate Reuters reports yesterday 19 April cover a graffiti artist who uses Arabic calligraphic design which “adds a certain beauty” and a semi-professional circus school which trains in a garage and performs in schools, hospitals and the streets. The article below is published on the Consortium News website, “the first investigative news magazine on the Internet”. It is an emotional appeal for help addressed to President Obama by a journalist resident in Gaza. An Israeli minister has broken one of the Middle East’s key unwritten rules by publicly praising his country’s close security co-operation with Egypt, most of whose citizens fiercely resent its ties to the “Zionist state”. Yuval Steinitz, the energy minister, revealed on Saturday that Egypt’s decision to flood the underground supply tunnels run by Hamas from the Egyptian Sinai into Gaza had been to a “certain extent at Israel’s request”. Security co-operation with Egypt was “better than ever”, he added. His words were met with an immediate outcry from commentators and former ambassadors. “He said something that shouldn’t be said in so many words,” Eli Shaked, Israel’s former ambassador to Egypt, told The Daily Telegraph. Mr Steinitz was forced to retract his comments and apologise for the “unintended impression” his words had given, though by then the damage was done. His comments followed news reports that Egypt flooded ten of Hamas’s tunnels near the border last Friday, the latest in a long series of moves against the group, with which Cairo has had fluctuating relations. Since the coup led by current President Abdel Fattah el-Sisi in July 2013, the Egyptian authorities have turned on it, cracking down on its supply lines and increasing security co-operation along the Israeli border to unprecedented levels. This is no secret to the outside world, but it is a potential source of instability inside Egypt, where the Arab world’s hatred of Israel is widely shared. “The security coordination between the two countries is one of the most sensitive issues there is for the security establishment,” the Israeli commentator Yossi Melman wrote in the Ma’ariv daily, adding that the comments reflected “the serious disease of uncontrollable talking” by Israeli officials. Last week, a screening of an Israeli film in Cairo was cancelled by the Egyptian culture ministry in order to “prevent normalisation,” while this week, an Egyptian parliamentarian is demanding an investigation into how a book penned by an Israeli author on modern Arab society was allowed to feature in an international book fair in Cairo, Israeli daily Haaretz reported. It seems as though almost the whole world is determined to turn its back on the Palestinians and behave as though the piecemeal, slow-motion destruction of Palestine is not just inevitable, but in fact of no importance. This is particularly obvious in Gaza. In complete violation of the U.N. Charter, the world’s great powers look on complacently while both Egypt and Israel enforce the illegal blockade against Gaza’s people. Under President Abdel Fattah el Sisi, Egypt has used its very real fight against terrorism to justify its role in the blockade. But Egypt is now going far beyond merely sealing its frontier with Gaza by engaging in terrorism of its own – environmental terrorism – to attack the civilian population of Gaza by destroying the aquifer that provides much of Gaza with fresh water for drinking and irrigation. After Israel’s military campaigns against the civilian population of Gaza it seemed impossible to imagine anything worse than that genocidal armed aggression. But President Al-Sisi’s government has taken up attacking Gaza’s water supply where even the Israeli government has refrained from acting. Egypt is implementing a plan to flood with contaminated seawater the few remaining tunnels that have been Gaza’s economic lifeline for a decade or more. By systematically flooding the frontier area in question, the Egyptian government will poison Gaza’s water supply by irreversibly salinating it. 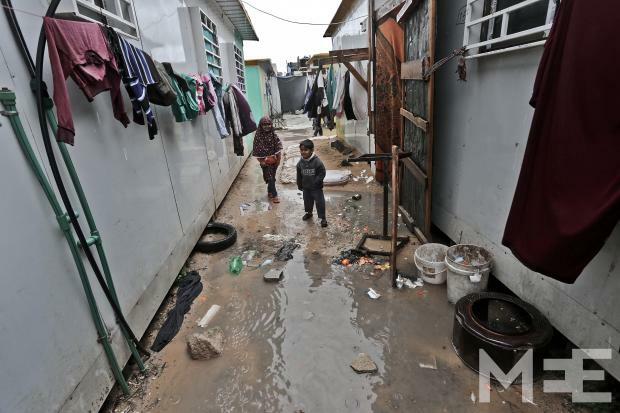 That same aquifer network provides water to Egypt’s own territory and population in the affected area, many of whom have been displaced to make way for the Egyptian government’s plan to flood Gaza’s tunnels. This plan to destroy Gaza’s tunnels is far from new. Nizar al Wahidi, Director for Extension Projects of Palestine’s Ministry of Agriculture, told our contact, New Zealand writer Huda Julie Webb Pullman, currently in Gaza, that the plan had been proposed seven years ago under President Mubarak who was himself reviving an old Israeli plan to flood Gaza’s tunnels. Back then Palestinian officials suggested that if Egypt wanted to flood the tunnels they should at least do so with fresh water. President Mubarak’s government decided the plan was too expensive and abandoned it. Now President el-Sisi’s government is proceeding with plans to pump a million gallons of seawater a month into its frontier area with southern Gaza for a whole year. The sea water will be pumped from a marine area already contaminated with sewage, creating a grave potential public health risk on both sides of the frontier. According to Nizar al Wahidi, no Environmental Impact Assessment has been done taking into account the geophysics, hydrology and soil structure. The aquifer is Gaza’s main fresh water resource. Egypt’s plan will render many thousands of hectares of agricultural land permanently unproductive, because the rate of salination will make it impossible to recover the land for agricultural use. Al Wahidi says that for Gaza the plan means the loss of 3,000 water wells in the first year after pumping begins. The water supply to Rafah city located on the frontier will be affected immediately. Right now, the Egyptian authorities have dug the moat that will channel the contaminated seawater to and along the frontier area and also laid the pipes that will inject the water into the tunnels, thus poisoning the aquifer. The last phase of the engineering work to begin implementing the plan is to complete the pumping installation and its intake pipeline from the sea. The Palestinian authorities have already discovered sinkholes appearing as a result of test flooding by the Egyptian engineers. Mazen Samir al Banna of the Palestinian Water Authority told Webb Pullman he fears full scale pumping may begin within a couple of weeks. Just as the economic blockade of Gaza is illegal so are Egypt’s plans to deny fresh water to people in Gaza. Egypt is a signatory to the Convention on Biological Diversitywhich came into force on Dec. 29, 1993. That Convention itself is supplemented by other conventions that give more precision to the applicable principles in various relevant areas. In the case of international water management, the U.N. Watercourses Convention is the relevant U.N. instrument. Egypt has not signed that Convention, but the United Nations General Assembly adopted it as the United Nations Convention on the Law of the Non-Navigational Uses of International Watercourses on May 21, 1997 and the Convention came into force in Aug. 2014. Earlier, in 2008, the U.N. General Assembly adopted Resolution 63/124 on the Law of Transboundary Aquifers. Even without being party to the U.N. Watercourses Convention, Egypt is obliged to follow basic norms of the Convention on Biological Diversity. Article 3 of the Convention states that parties have “the responsibility to ensure that activities within their jurisdiction or control do not cause damage to the environment of other States or of areas beyond the limits of national jurisdiction”. Article 5 of the Convention states that parties will “cooperate with other Contracting Parties, directly or, where appropriate, through competent international organizations, in respect of areas beyond national jurisdiction and on other matters of mutual interest, for the conservation and sustainable use of biological diversity.” Article 14 of the Convention binds parties to minimize damage to neighboring States. Egypt’s obligations under Articles 3 and 14 of the Convention on Biological Diversity are spelled out more precisely in the UN Watercourses Convention and the Law of Transboundary Aquifers, particularly the obligation not to cause transboundary impact. Article 27 of the Convention on Biological Diversity provides the procedure to be followed to resolve disputes. In this case Egypt is flagrantly violating its obligation to seek a negotiated settlement to Palestinian objections to its plan to destroy Gaza’s sources of fresh water. Egypt’s government has made clear it has every intention of maximizing the damage to Gaza’s aquifer in categorical violation of its obligation to avoid adverse impact on Palestine, which while still not quite a full State thanks to support for the colonialist arguments of the Israeli government from the United States and its allies, is an independent territory beyond Egypt’s own jurisdiction. In an email interview this week, we were able to ask Mazen al Banna of Palestine’s Water Authority his view of the Egyptian plan to flood Gaza’s tunnels. Tortilla con Sal: Is Egypt making any arguments to justify this environmental terrorism? Mazen al Banna: I do not know the Egyptian argument for this project, but I know that this project will double the siege of Gaza and kill the both the humans and the environment in the southern area of Gaza and it will have indirect consequences on all sectors in Gaza Strip, the existing water crisis, the agricultural, the food security, the economy, the social and at the end the national security of Palestinians . TcS: Surely such action is completely illegal? What are the relevant international laws? If Egypt’s action affects its own population, presumably they are violating their own laws too, is that true? Mazen al Banna: In 2009, the U.N. Assembly issued a Resolution I think 63/124. If I am correct the Resolution talks about the law of transboundary groundwater aquifers, it talks about the principles and rules that should govern the relation between the countries that share the same aquifer, one of these is the obligation not to make a major harm even if the activities are done inside the sovereignty of any of these countries . TcS: Do you think this action is being carried out in coordination with the Israeli authorities? What other political considerations would influence Egypt to take such extreme illegal action? Mazen al Banna: In history, this project was going to be implemented by the Israeli Occupation in 2003, in the corridor of Philadelphia south of Gaza strip to prevent weapons smuggling as the occupation declared at that time. Then in 2009-2010, Mubarak, the preceding Egyptian President, started to construct the metallic wall and so on, but the Arab Spring caused him not to complete that project. Now the present Egyptian President el-Sisi is doing that, this project is done to double the siege on Gaza’s people. TcS: If the remaining tunnels are flooded how soon would the population in Gaza begin to suffer the consequences? What would be the immediate effects? What would be the medium and long term effects on Gaza? Mazen al Banna: The immediate consequences are the collapse of nearby buildings, roads, water and waste water infrastructure, waste water treatment plant in Rafah City in the vicinity of the borders, six municipal wells exist near the borders, they will be affected very soon, agricultural wells near the borders will be affected, so the agricultural sector will be affected and economic and social impacts will result. The medium and long term consequences will be the destruction of agricultural soil, the groundwater aquifer; the drinking water sector (the groundwater desalination plants in the area will not be able to produce desalinated drinking water, so the Palestinian citizen will be thirsty); the agricultural sector and the economical sector – no jobs, poverty increase, high levels of prices regarding agricultural products, we may need to import such products from outside; the social impacts, immigration to outside or to north of Gaza. This will result in putting pressures on the existing natural resources and other resources like lands, high levels of living, on water resources in north of Gaza etc. The Palestinian authorities are calling on international governments and non-governmental human rights and environmental organizations as well as regional Arab and Islamic organizations to urge the Egyptian government and the Egyptian army to cancel this catastrophic project which will destroy the environment in both Gaza and Egypt as well as devastate both Palestinian and Egyptian lives. As usual, the governments of North America and Europe and their enormous media and human rights apparatus do little more than observe complacently while a foreign government, in this case Egypt, proceeds with the destruction of the Palestinian people’s land and lives. Some of my best friends demand that I write an article condemning unconditionally the “administrative detention” of Jewish terrorists. They are members of a group following the teachings of Rabbi Meir Kahane (the leader is actually his grandson). Kahane was an American Rabbi who came to this country and founded a group branded by the Supreme Court as racist and antidemocratic. It was outlawed. He was later assassinated by an Arab in the US. An underground group of his followers is now active in Israel. This is one of the groups which belong to a clandestine movement, generally called “Price Tag” or “Hilltop Youth”, that has conducted various acts of terrorism, setting fire to Christian churches and Muslim mosques, attacking Arab farmers and destroying their olive trees. None of the perpetrators has ever been apprehended, either by the army, which acts as a police force in the occupied territories, nor by the police in Israel proper. Many army officers are themselves residents of settlements in the occupied West Bank, which are illegal under international law. The Israeli public has paid little attention to these outrages, but lately things have happened that shocked even complacent Israelis. One was the firebombing of an Arab dwelling in the small village of Douma in the West Bank. Under cover of darkness, a fire bomb was thrown into the home of a poor Arab family. An 18-month-old baby was burned to death, his father, mother and brother were seriously injured. The father later died in hospital. Another outrage was committed in Jerusalem – against Jews. An ultra-orthodox Jew attacked the annual gay pride march in the center of the city. He succeeded in stabbing several marchers, one of whom – a 16 year-old girl – later died of her wounds. The perpetrator had done exactly the same 10 years ago. He served a long prison term, was released a few weeks ago and did it again. He is an ultra-orthodox Jew, but seemingly has no connection with the Kahanist gang. The prisoners have no right to see the evidence against them and confront their accusers, nor are they allowed to be represented by attorney. The official reason is that they cannot be put on trial without “burning” informants and other sources of valuable information that are vital to effectively combat terrorism and save lives. Arab prisoners, of course, enjoy no such privilege. They know that if they don’t talk, they may be tortured. Under Israeli law, torture is forbidden, but the court allows something called “moderate physical pressure”, which achieves quick results. Yet even so, many Arabs languish under unlimited administrative detention, because there is not enough legally admissible evidence to indict them in court, without endangering “sources”. Many years ago, when I was the editor-in-chief of the Haolam Hazeh news magazine, we published for a time an Arab-language edition. One day, one of my Arab employees – let’s call him Ahmed – was put in administrative detention. When I started to raise hell, I got a surprise call from the Shin Bet. The relations between this organization and me were strained from the first day of the state. This may be an understatement, since their chief once officially defined me as the “No. 1 enemy of the regime”. I am telling this story for the first time in order to illustrate the dilemma. Letting these Jewish fascists roam freely could cost more Arab and Jewish lives, and perhaps a catastrophe, for example if they set fire to the holy Muslim shrines. There seems to be no solid evidence against them. If there are Shin Bet informers in this group, their testimony at a trial would “burn” them. In my late childhood I witnessed the breakdown of the democratic “Weimar Republic” in Germany. The Nazi hoodlums were roaming the streets, beating up people who looked Jewish, exchanging fire with Communists. The government was ineffective. Police and army were infiltrated by Adolf Hitler’s party. Judges punished the communists severely, but often let the Nazi “patriots” off the hook. Years later, when Germany lay in ashes, the Weimar Republic (so called, because its constitution was written in Weimar) was accused of cowardice, because it did not dare to use the instruments it had at its disposal – including non-democratic emergency powers – to fight the Nazis in time. Does the Israeli Republic want to risk the same fate? I believe that the Kahanists and the other fascist groups in today’s Israel are far more dangerous than most people believe. This is not a handful of wild weeds as we are led to believe. This is a national cancer that can spread quickly in our national body.